Hello ... Hello ... my old friends ... It's great to see you once again! 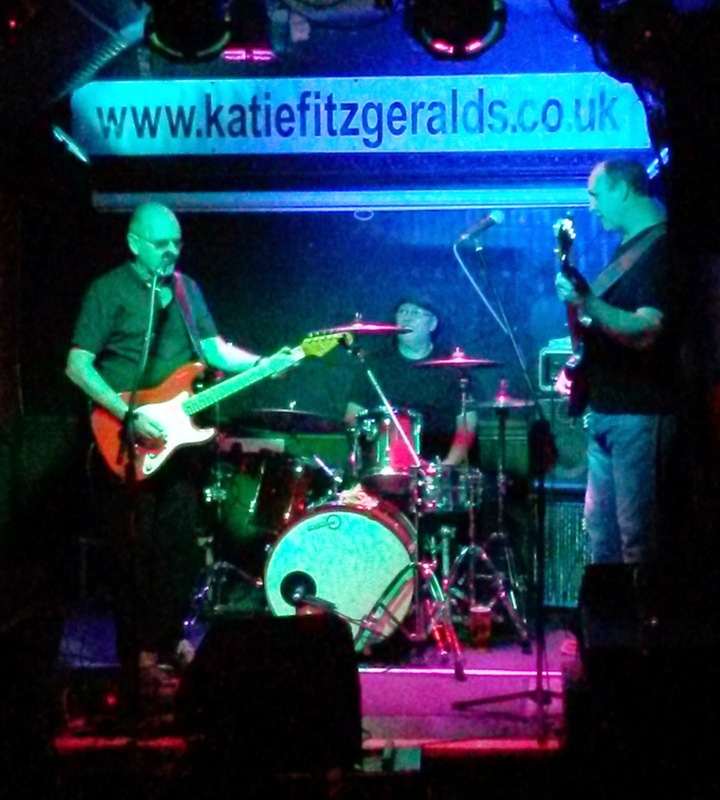 After a four month hiatus, The Trevor Burton Band returned in triumph to Katie Fitzgerald's in Stourbridge last Saturday night [22nd November]. Appearing fresh from the sell-out Stand Up & Rock! 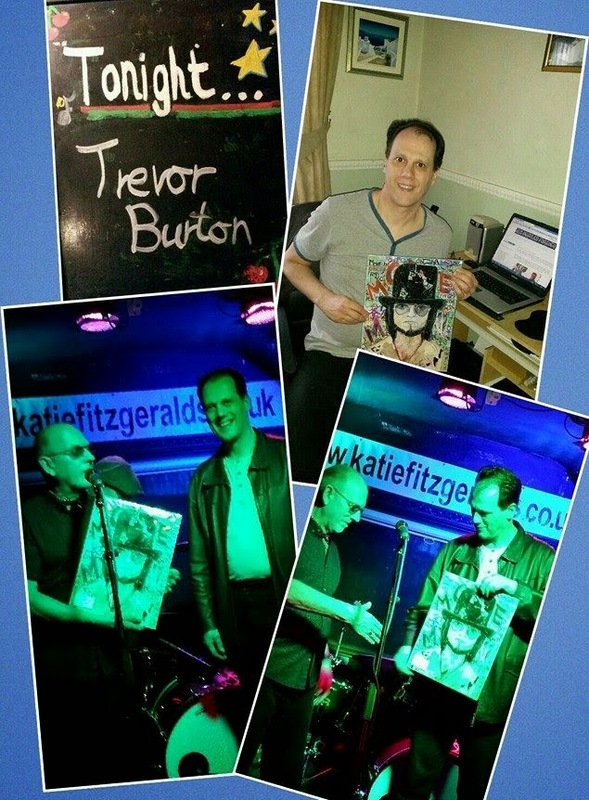 tour, an inspired Trevor Burton - together, of course, with cohorts Pez Connor and Bill Jefferson - thrilled the healthy audience with an electric performance of his own material intermingled with his unique take on classics by Traffic, Cream, Eric Clapton and Jimi Hendrix [and not a few others] in a variety of musical styles. Set list: "Hit The Road Again", "Little Rachel", "Down The Road", "Tough Enough", "I'm Alright", "Too Unkind", "Down Down Down", "Ain't No Brakeman", "Dear Mr. Fantasy", "Heartbreak Hotel", "Sunshine Of Your Love", "Johnny Too Bad", "Hey Joe", "Mystery Train"
The highlight of the evening was surely springing a certain surprise on Trevor during the break as Yours Truly KJS presented The Move co-founder with another fantastic portrait by the exceptionally talented [and ELOBF featured] artist Jennifer Armstrong to recognize both his fifty  years in the business and also the appreciation of his many fans.